Viknesh Vijayenthiran January 11, 2018 Comment Now! 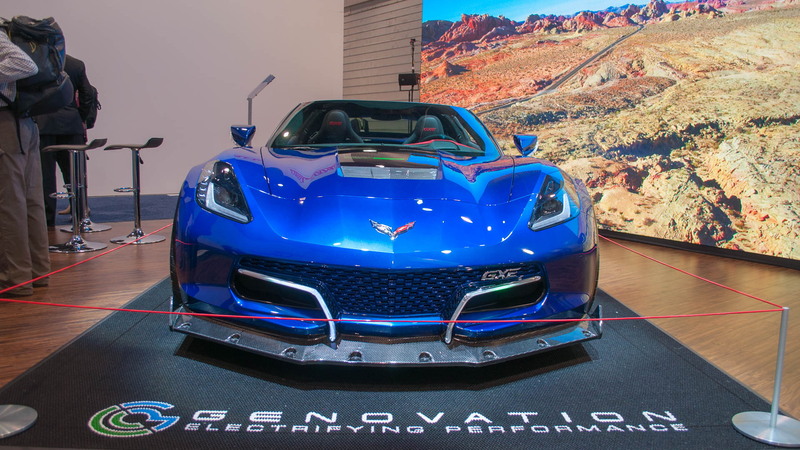 Genovation, an engineering skunkworks based in Rockville, Maryland, has finally shown us its Corvette-based electric sports car. 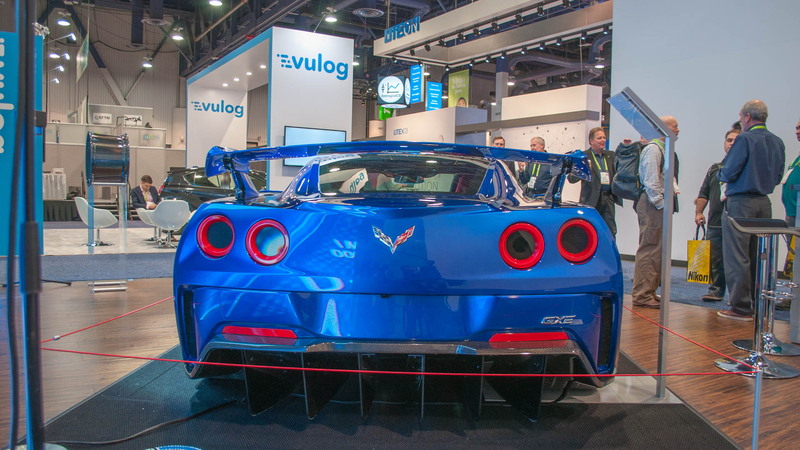 The company made the debut this week at the 2018 Consumer Electronics Show in Las Vegas. Called the Genovation Extreme Electric (GXE), the car in prototype form hit a top speed of 209 mph during testing early last year. It also hit a standing mile record speed for electric cars of 190.4 mph. 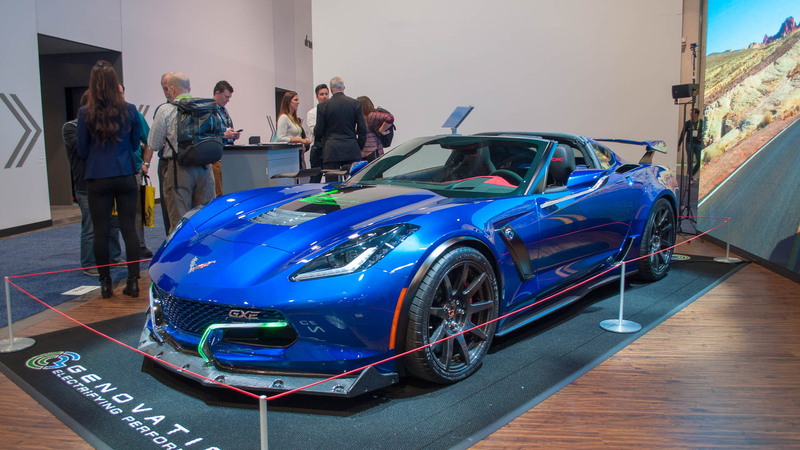 While the prototype was based on a C6 Corvette Z06, the production GXE uses a C7 Corvette Grand Sport as its donor. The car also features unique visual treatments to ensure it stands out. You’ll notice the revised front bumper and round taillights. 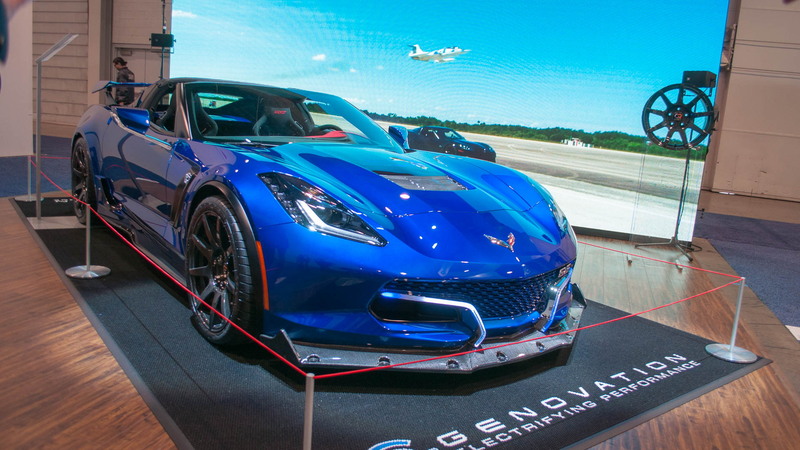 Genovation says it chose the Corvette as the donor due to the lightweight frame but also as a nod to American engineering. 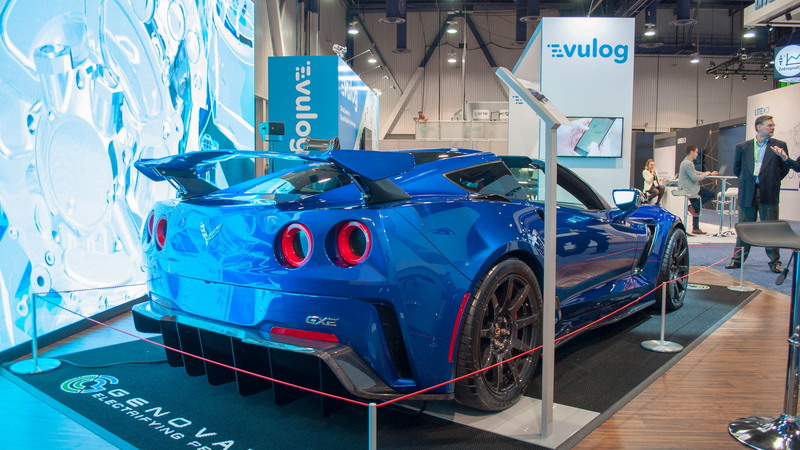 The company plans to build just 75 GXEs in total, each priced from $750,000—and that's not including the donor 'Vette. That’s certainly steep but if you want similar performance from an electric car you’re going to have to step up to the million-dollar-plus Rimac Concept_One. Power in the GXE comes from two electric motors delivering a peak 800 horsepower and 700 pound-feet of torque. The motors are positioned under the hood, and they send their drive to the rear wheels only. Yes, they power a common shaft. Also rare as far as electric cars are concerned is the availability of 7-speed manual transmission. An automatic is standard, as is a set of carbon fiber wheels. Providing the power are five battery packs with a total 61.6-kilowatt-hours of capacity, which Genovation says is enough for 175 miles of range with moderate driving. Crank things up and Genovation says the GXE will deliver a 0-60 mph time of less than 3.0 seconds and a top speed of over 220 mph. Genovation will start deliveries of the GXE in 2019. With the money raised, the company plans to develop a more affordable electric sports car dubbed the G2.